Fruit imports from India suspended! The National Plant Quarantine Service has temporarily suspended all fruit imports from India. When contacted by Sri Lanka Mirror, the Additional Director of the National Plant Quarantine Service Dr. W.A.R.T Wickrama arachchi said the temporary suspension was imposed as India had failed since October last year, to adhere to the quality certification regulation imposed by the National Plant Quarantine Service when importing fruits to the country. Therefore, the National Plant Quarantine Service had discussed the issue with the Agriculture Ministry and taken the decision to temporarily suspend fruit imports from India. Wickrama arachchi noted that the subject minister had notified the Indian High Commission regarding this matter, assuring them that once this shortcoming has been rectified, the ban would be lifted. 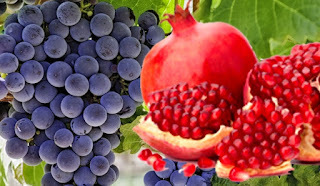 Among the fruits imported from India, the majority is grapes and pomegranates. Meanwhile, an agriculture specialist told Sri Lanka Mirror that the Indian quarantine policies are not so strict and even previously a similar situation had arisen where prawn feed imported from India had resulted in the devastation of the prawn cultivation industry.